SWIP-L has moved to the University of Houston! You can reset your options subscribe or unsubscribe in two ways now. Either send the commands via e-mail to listserv@listserv.uh.edu OR make your choices from the Web Interface at http://listserv.uh.edu/archives/swip-l.html You will find a variety of options to choose from as to how you want your mail to come to you, plain or fancy, digest or as they come, etc. check it out. 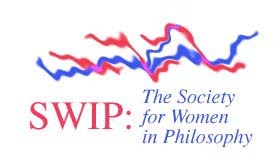 Welcome to SWIP-L, the electronic discussion list associated with the Society for Women in Philosophy. The list was started in January, 1992, by and for members of SWIP, and now has over 1000 subscribers, including both SWIP members and others interested in feminist philosophy. It is currently operating as a moderated list, which means that messages sent to the list are reviewed by a moderator before being distributed to all subscribers. Moderators check that posts are appropriate, i.e., that they are within the scope of the list's purposes and that they respect this as a women-centered, feminist space for the discussion of feminist philosophy and related subjects. Moderators also weed out spam, mis-sent queries about subscriptions, etc. Subscribers who persist in sending inappropriate messages even after being notified of the problem will be removed from the list. The messages on this list are often informational in nature: calls for papers in feminist philosophy, announcements of SWIP meetings and other conferences, requests for references or information, etc. There are, however, frequent substantive discussions exploring a wide variety of topics--many of them controversial--within feminist philosophy. However, this list is NOT an appropriate place to debate either male/female issues in general or more broadly based philosophical questions, and it is not a forum for questioning or defending the merits of feminism, feminist theory, or feminist philosophy. While these are clearly legitimate areas of inquiry, this list is conceived more narrowly, and is limited to discussions of issues WITHIN feminist philosophy. In keeping with the traditions of SWIP, the list is feminist not only in content but also in form. That is, contributions to substantive discussions should be respectful and constructive rather than agonistic; flame wars do not belong on SWIP-L. A note on "netiquette": relevant job announcements, calls for papers, and the like may be forwarded to the list without the author's OK, since it is in the nature of such announcements that they should be widely distributed, but please have the courtesy to ask permission before citing or forwarding other kinds of messages from the list. This applies to journalists and others who might want to quote or paraphrase list messages in print. When you subscribe to SWIP-L, you will receive a file called "User Guide," which is largely based on the "User Guide" for WMST-L (and used and modified with the permission of Joan Korenman). You should keep this file, especially if you're new to e-lists, since it contains helpful information regarding the operation of the list. SWIP-L is archived at http://listserv.uh.edu/archives/swip-l.html; you are welcome to browse the list archives at any time. If at any time you have questions or concerns regarding the list or your participation in it, please contact the listowner, Judith Poxon, at poxon@saclink.csus.edu. Thanks for your interest in SWIP-L, and welcome to the list!